Adding a phenological monitoring program to your classroom is easy as long as your project is well-planned. Consider involving other like-minded teachers and staff in your project to make it a meaningful, multi-year experience. Nature's Notebook is designed to be a multi-year program, for students to experience seasonal changes throughout the academic year. If you are only interested in and able to take students outside one time to make observations, you might consider another wonderful citizen science project instead. We suggest setting up a group for your school where individual students can each make and enter observations. 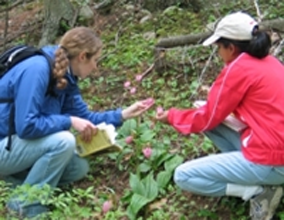 Plan to take students outside to make observations once a week, building the other activites and topics you are teaching around phenology monitoring. Continuing your project for multiple years creates a local record of what is happening and students in subsequent years can learn from what students in prior years recorded. Can you take a field trip to a local nature center, wildlife refuge, zoo, botanical garden, museum where they may be monitoring phenology? Check with the local educators to see if they have other curriculum ideas and resources for monitoring phenology at their locations as well. Have ideas or activities to share? Send them to us and we'll share them for you! If you can't commit to a long-term monitoring program at your school, consider instead using some of our phenology activities and lesson plans to supplement your student learning. Search the table below for activities appropriate for middle school learners. The table below contains lesson plans and ideas for implementing Nature’s Notebook in Grades 5-8. 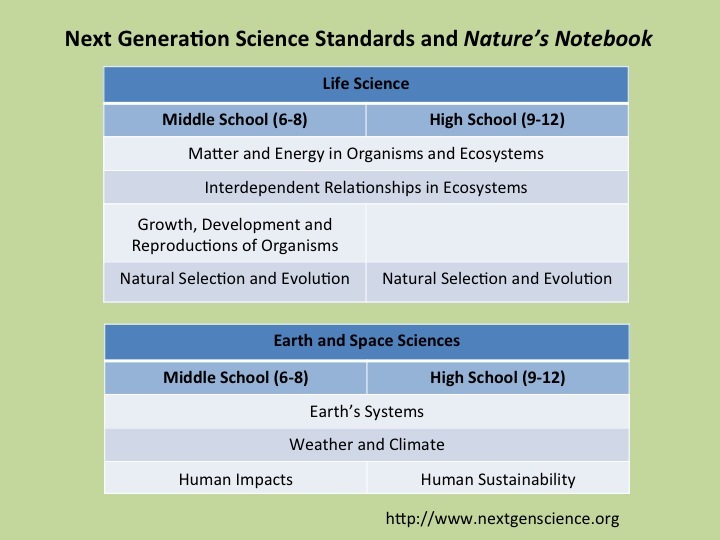 View Nature's Notebook curriculum materials developed for 5th-8th grades in the table below.